HawaiiCon is a 100% volunteer-run, fan-run convention. Every year we bring some of the world’s best talent to the Big Island for the best party on the island. This party also serves to bring over 500 Hawaii Island keiki in contact with our talented guests, while fundraising to support fantastic STEAM education programs on Hawaii. The Board, Committee and Staff of HawaiiCon send out our most sincere thanks to the volunteers for making it all happen. 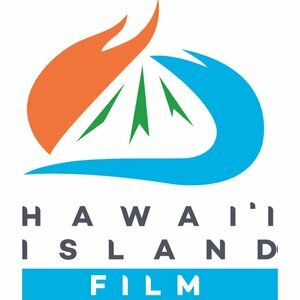 If you volunteered at HawaiiCon 2018 and are returning in good standing, you are entitled to one 4-Day pass to HawaiiCon 2019. If you volunteer for 16 hours of HawaiiCon service in 2019 and finish up the year in good standing, you will earn one 4-Day pass to Hawaiicon 2020. You can also volunteer for fewer hours if that is a better fit for you. Please use this application to help us make sure that you’re in a volunteer position that best suits you, and if you have any special needs, please make sure that we know so that we can take care of you. By submitting your application to volunteer, you are agreeing to adhere to our posted HawaiiCon policies (http://www.hawaiicon.com/policies) and acknowledge that submitting an application is no guarantee that you will be assigned any volunteer duties. Further, you affirm that the facts set forth on your form are true and complete. You understand that if you are accepted as a volunteer, any false statement, omissions, or other misrepresentations made on this application may result in immediate dismissal. What were your previous volunteer duties at HawaiiCon? I'd like to be back at my old job! Below, we've listed a number of jobs that need to be filled in 2019. Please select those that you think might interest you. Please let us know if you have any special needs, or if there is something else that we should know about your work with HawaiiCon. Thank you! If you got this message, we’ve received your application. Again, thank you for everything that you have contributed to HawaiiCon, and look forward to hearing back from us.